As California puts a $9.95 billion high-speed rail project on the fast track, China has begun exploring plans to link its high-speed train routes to Europe. Meanwhile, the U.S. federal government has set aside $8.8 billion in stimulus funds for 13 high-speed rail projects. 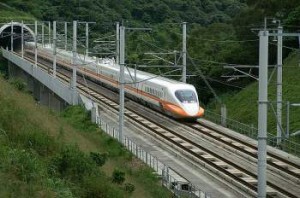 China and Japan also have jumped into the market for manufacturing bullet trains, including trains that would connect Tampa, Fla. to Orlando, with a possible stop at Walt Disney World. They are the latest players in the bullet train sweepstakes. France’s Alstom SA, Germany’s Siemens AG and Canada’s Bombardier Inc. also want to sell trains, tracks and operating equipment for the U.S. effort. 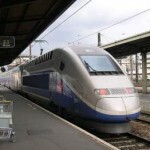 With the runaway success of Spain’s Alta Velocidad Española (AVE), connecting Madrid and Barcelona, the Train à Grande Vitesse (TGV) in France and the U.S. stimulus funds, high-speed rail has generated a considerable buzz. 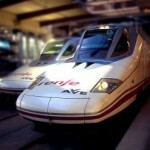 High-speed rail projects also are underway in Mexico, Argentina and Brazil. Bullet trains are generally considered to be those traveling faster than 180 miles an hour(290 kph). Japan built the world’s first “Shinkansen” and has the biggest high-speed network, carrying 308 million people last year. China is catching up fast, though. According to a report in Business Week, China is eying two potential routes from Beijing, one passing through India, Pakistan and the Middle East, and another connecting Germany, through Russia. A third line would extend south from China to connect Vietnam, Thailand, Burma and Malaysia. It is a good thing that we here in Canada are not caught up in the high speed rail thing. Just imagine that we could ride the rails from Toronto to Windsor, or Quebec City or Calgary / Edmonton in hours (almost as fast as an airplane). Imagine the lower carbon foot print that we could use per trip. Good thing we are Canadian and not be up to date or even try to lead in the world of rail travel.